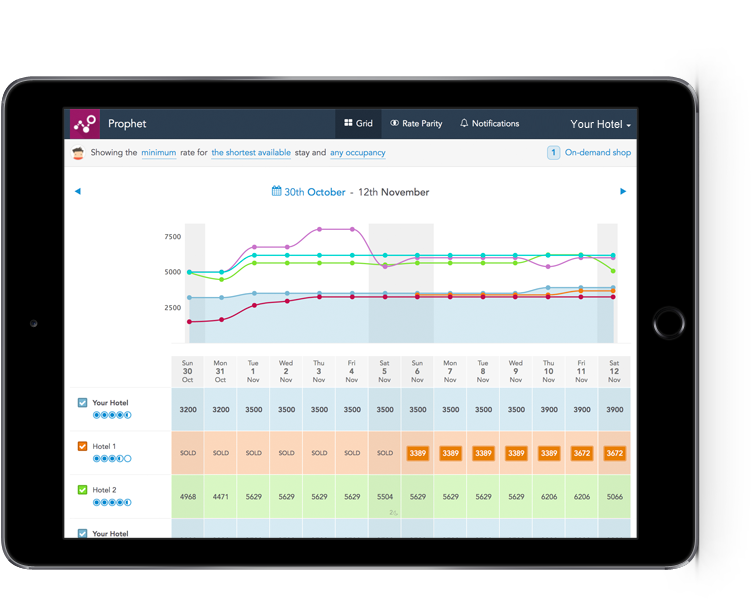 Our innovative and easy-to-use rates tool allows you to analyse multiple competitors rates all in one view. An intuitive tool that provides valuable real-time intelligence in an instant to take the stress out of daily pricing decisions. 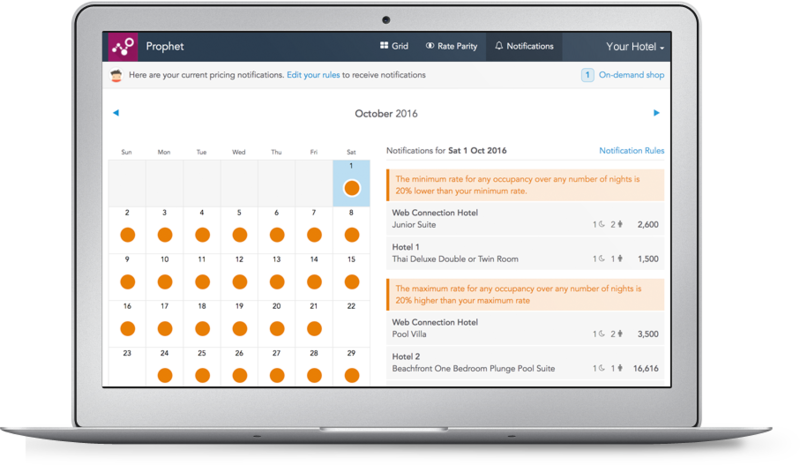 Set alerts to monitor market changes and make fast pricing decisions to optimize your room rates and increase revenue. Data is refreshed daily or live on demand giving you access to the most up to date information. 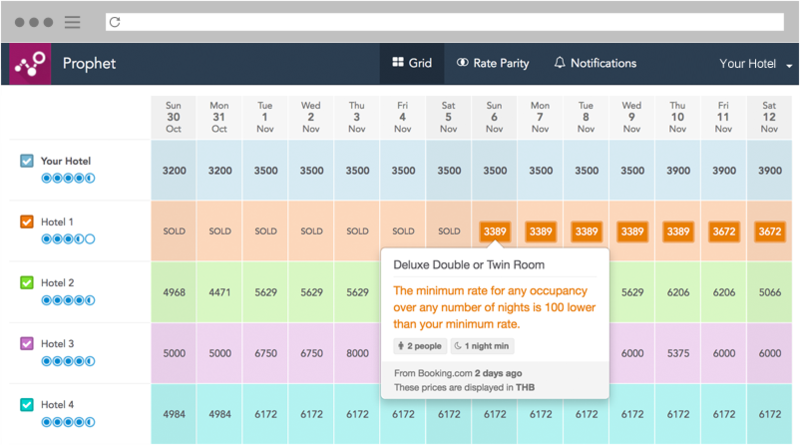 Compare your hotel rates and market demand against competitors in one view. Understand how competitive your pricing and reputation and increase your RevPar. Receive alerts when market stock is low so that you can make changes to increase booking opportunity. Set rules to change your rates according to fluctuations in market pricing and demand. Watch Video Try it for Free! Take a quick tour of Rate Manager and learn how to stay ahead of the competition.